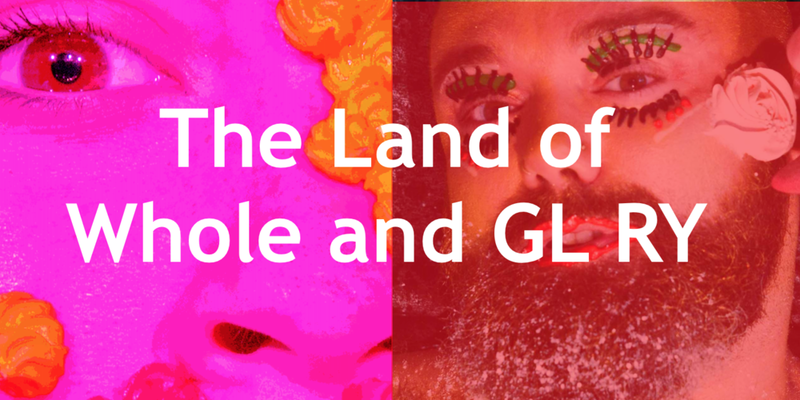 GL RY encompassed durational performance, soundscapes, video work, storytelling, information, intimate one-on-one encounters and impromptu cabaret spectaculars. It was a part of the 2016 Outburst Queer Arts Festival in November in Belfast, Northern Ireland. For GLRY, I created two audio/visual installations within the larger project. The first The Question Hole & Listening Booth was devised between myeself, Andrew Goyverts, and Matthew Cavan with scenic help from Niall Rea. I fitted these two little booths with mobile speakers which played the piece "H-I-Voxpop" which I produced from interviews I conducted with Mercedes Sharma at Queens University Belfast with students concerning their HIV education. The second installation was Silent Treatment which was a film I created with Mercedes Sharma and a design intern from University of Sligo set to monologues written by Lachlan Phillpot based on interviews conducted by GLRY curator Alyson Campbell. The film was projected on the inside of a piano within the Belfast Central Library during the run of the Outburst Arts Festival. It was an installation to be happened upon (and was as the library had high foot-traffic for the festival). I also provided dramaturgical and transcription support throughout the project.